The Concordant Literal New Testament read with human voice on CD. Format is Mp3. 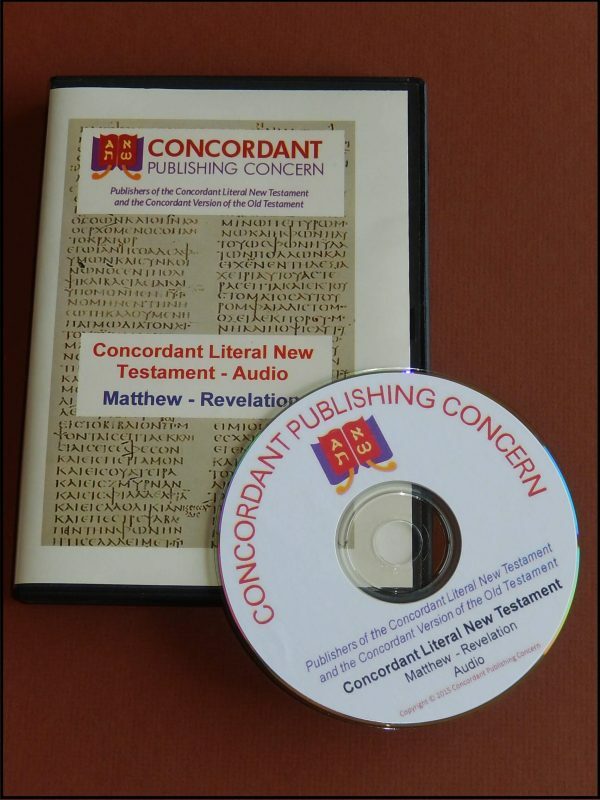 The Concordant Literal New Testament read with human voice on CD. Format is Mp3. This CD should play on a PC capable of playing CD discs. Some DVD players may also be capable of playing it, but it is best to check compatibility before ordering.